Adult Bible Study is a way to connect with other believers in fellowship; to grow in our understanding of the Bible, as Jesus’ own small group of disciples did; to meet the needs of others in the small group, to become equipped for evangelism; and to worship God. Why Study the Bible with a Group? Yes, you can study the Bible on your own. In fact, you should! Personal Bible Study is essential for deepening your relationship with God. So why study with a group? A small group Bible study offers a place to connect with other believers. Bible study offers a safe place to get your questions answered. Asking priest after Mass isn’t usually possible or practical, so you may leave fed, but still a little hungry. When you are involved in a small group of other believers with varying backgrounds, chances are at least one other person in that group will be able to answer your specific questions. Certainly, as a group, you can determine to research and find answers to questions that cannot be answered in your regular meeting times. In your small group, you can also share your needs. At first, you may not feel comfortable sharing intimate details of your life, and you don’t need to. But small group members exist to care for one another and to join in lifting one another’s burdens before the Lord. Even if all you are willing to share is, “pray for me,” then at least you can go out with the confidence that someone else is in fact praying for you. And God is listening. Prayer is another area in which Adult Bible Study can help you to grow. Afraid to pray out loud in a group? That’s OK! No one will force you to pray out loud. As you listen to others sharing their hearts before God, you will be amazed at what the Spirit may prompt you to do. Week after week, as group members share answers to prayer, you’ll be built up in your own personal ability to trust God to meet your needs. And as any small group veteran will tell you, the greatest blessing comes in ministering to the needs of another small group member. 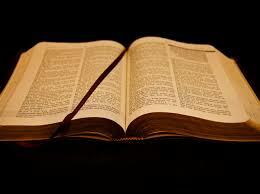 Adult Bible Study meets every Monday of the month, 7:00 – 8:30 P.M. at the Parish Center. Bring your home Bible or one will be provided for you.